Many people considering follicular unit transplantation (FUT) have a number of questions and concerns about the treatment. Drs. Robert True and Robert Dorin can help you understand FUT cost and benefits during a consultation at our New York area offices. Respected for our years of expertise, we have guided thousands of patients towards their goals of fuller, healthier hairlines with FUT and other hair restoration therapies. Contact us today to arrange a consultation and begin your hair restoration journey. What Determines the Cost of FUT? The only way to accurately determine the costs of your treatment is to have a consultation with one of our hair restoration experts. At this time, your doctor will examine all the above variables, and review your medical history. From there, you and your doctor can decide the best treatment plan to help you achieve the hairline you have always wanted. Many patients with extensive hair loss or thinning prefer to have FUT surgery over follicular unit extraction (FUE). When using the strip method (FUT), our doctors are able to maximize the number of follicular units harvested, which minimizes the number of surgical sessions required. In fact, many of our patients can have their FUT performed in a single session. 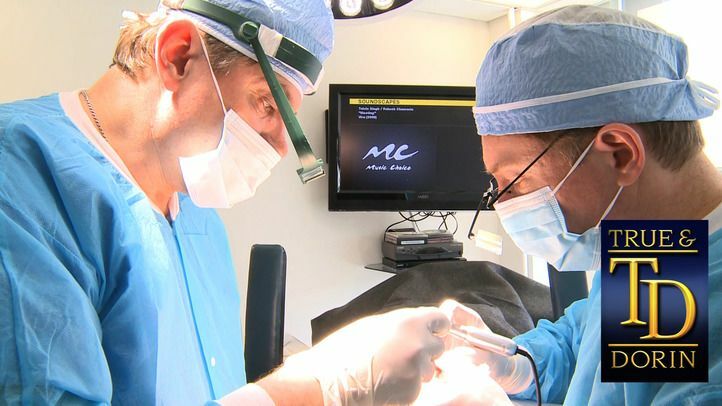 Because this procedure is less time and labor intensive when compared to FUE, we are generally able to offer it at a lower cost to patients. As a further convenience to patients, True & Dorin offers financing options to make your hair restoration affordable. We believe in providing exceptional hair restoration solutions that can fit into your budget. In addition, we also offer a special incentive for patients with flexible schedules with our standby program. If you have completed your lab work, have been recommended for treatment by one of our doctors, and are able to schedule your procedure on short notice when we have an opening, you can enjoy additional savings. Let True & Dorin use their expertise to restore your hairline and self-assurance. Make an appointment today at one of our conveniently located offices.